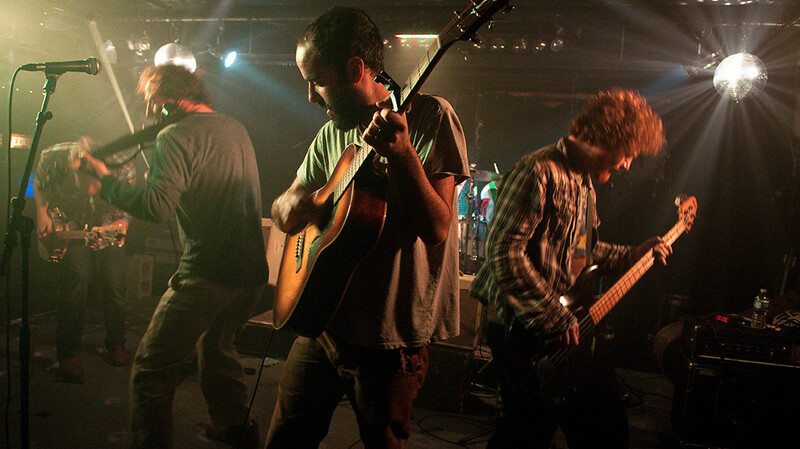 As o’death wrapped up production on their third studio album Outside at the end of 2010, lead-singer/guitarist Greg Jamie relocated to Biddeford, Maine, to take over a local music and arts venue and turn it into The Oak and The Ax. 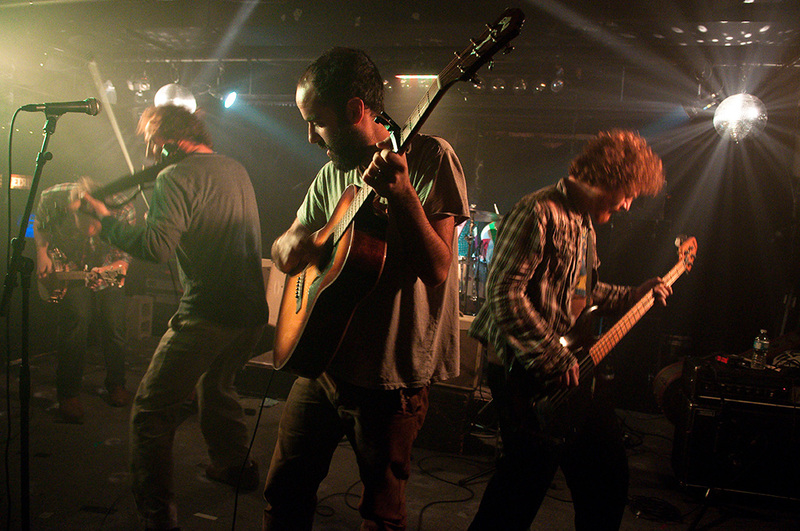 Since then, Maine and The Oak and The Ax have become a second home for o’death and eventually the location for the recording of their fourth full-length studio album. The band convened in South Portland, ME, to work with lo-fi recording guru, Caleb Mulkerin (Big Blood, Fire On Fire, Cerberus Shoal) and to take advantage of the homey space in Biddeford they had performed in many times since 2011. 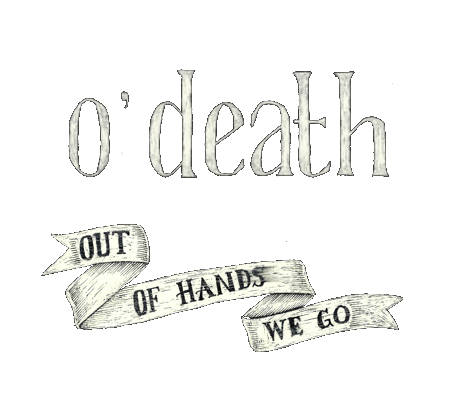 On Out of Hands We Go, o’death return to a focus on live performances with Jamie’s voice and lyrics planted firmly in the center of the band’s dynamic arrangements, a stark departure from the multi-tracked and meticulously overdubbed Outside. 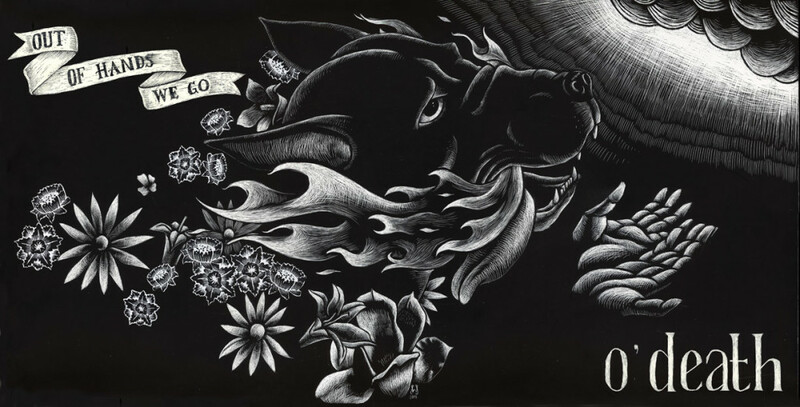 Original art by William Schaff, whose album covers include: The Magnolia Eletric Co. by Songs Ohia, records by Brown Bird, Godspeed You! Black Emperor, What Cheer? Brigade, all of the artwork for Okkervil River and many more.